It is in Tuscan cantaloupe background. This selection is high yielding with 25t/ha as against Arka Jeet which gave 17t/ha. 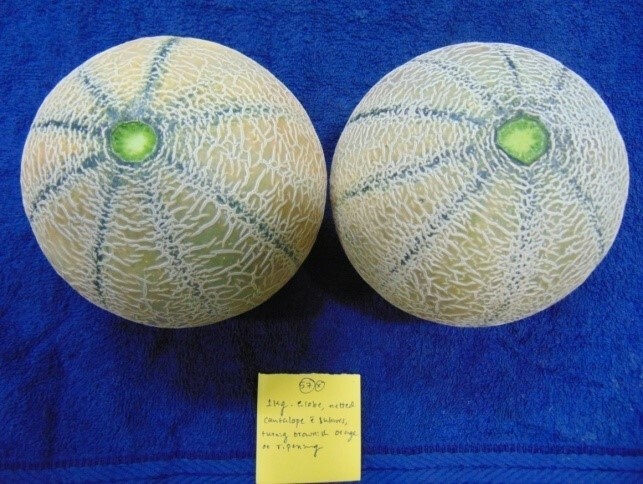 This selection has high TSS (12-13%) and good shelf life (5-10 days under ambient conditions), 75-80 days maturity; fruits are elongated globe shaped with brownish yellow rind color, medium netting and musky, firm, juicy dark orange flesh. 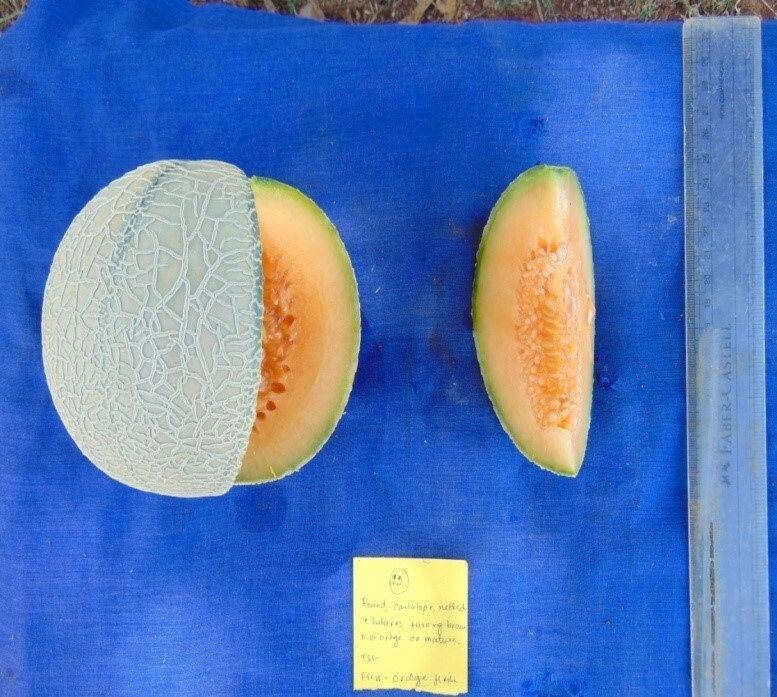 Fruit and pulp firmness was high, TSS was retained well and pulp colour was more yellowish orange (low Hue angle) and carotenoids were higher in Arka Siri during storage which was significantly superior when compared to Nirmal-24, check hybrid.